Are you not sure what to do with your mom this Mother’s Day? Watch Anime, of course! You could abandon the following list and strike out on your own, introducing your mom to your anime favorites. In the end, you know your mom better than we do! However, we recommend you take this opportunity to introduce your mom to the following wholesome anime recommendations. Here are our top 10 anime to watch with your mom on Mother’s Day, from historical, emotional, family-oriented, and just plain cute. Maybe your mom watched anime when she was little and doesn’t even know it! Speed Racer aired on television in English in the US from 1967-1968. Spend your day revisiting the past with this nostalgic car racing anime! The adventures of Speed Racer and his family are a comedy that the whole family can enjoy. Chi’s Sweet Home is perfect for any animal lover. A lost kitten is found by a young boy and his mother. Despite their apartment’s no pet policy, they take the kitten home. Experience life through the eyes of a cat in these short and silly 3 minute episodes. 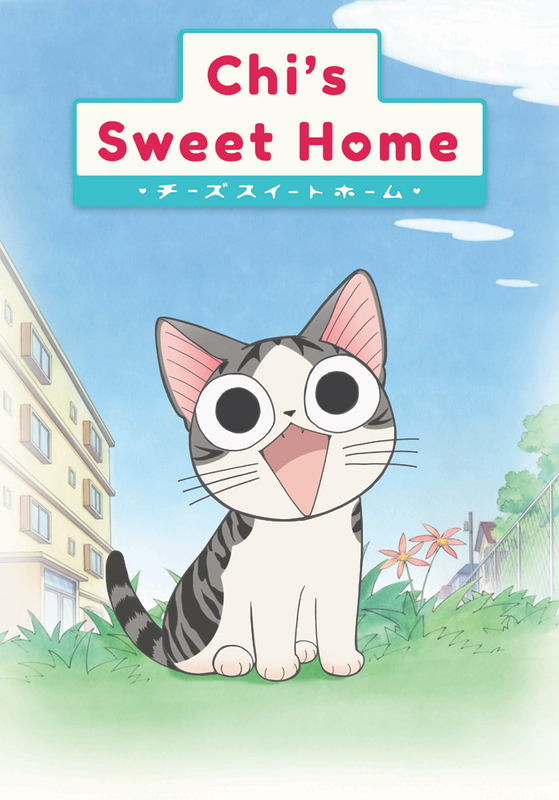 Chi’s Sweet Home is the perfect way to take a quick break, even when life is busy. The Garden of Words is a film directed by Makoto Shinkai. This relaxing story takes place in a garden during Japan’s rainy season, emphasizing the simple refreshing beauty of raindrops. Takao Akizuki is an aspiring shoemaker who on rainy days skips class to draw shoe designs in the garden. Here he meets Yukari Yukino. As their relationship develops their worries disappear while surrounded by the greenery and falling rain. Perhaps your worries will fade away as well. The story of Barakamon begins with the arrogant young calligrapher Sei Handa. After reacting poorly to criticism of his work he is sent to live in the country and get away from his chaotic city life. As Handa adjusts to village life he meets a hyper first grader named Naru. Handa is influenced by Naru and the villagers he meets as he searches for his own inspiration and art style. Big Windup features the determination to become the best while overcoming your insecurities. Ren Mihashi loves baseball, primarily the position of pitcher. He practices hard but has no self confidence in his abilities. Thankfully this begins to change when Mihashi meets Takaya Abe, the catcher and vice-captain on the high school baseball team. Mihashi’s childhood friend even starts a cheering squad for the Nishiura High School Baseball team. Watch as some extra support and encouragement can go a long way to inspire others. Wolf Children is directed by Mamoru Hosoda with Studio Chizu. The story focuses on a single mother, hardworking Hana, who does her best to raise her children…her two wolf children. Hana does her best to keep their wolfish nature a secret and watches as they grow up to be two unique individuals. You can reflect on your mother’s own hard work as you watch this wonderful film. The Wind Rises is a historical film from director Hayao Miyazaki and Studio Ghibli. The story begins just before the Great Kanto Earthquake of 1923 and extends into World War I. Loosely based on the life of Jiro Horikoshi, The Wind Rises is a beautiful film with a fascinating message of how sometimes you have to ignore reality to achieve your dreams. Jiro works hard to design flying machines and Miyazaki adds in a love story for his protagonist as well. Kiki’s Delivery Service is a magical film directed by Hayao Miyazaki and animated by Studio Ghibli. The story begins as the young witch Kiki and her black cat Jiji fly off to new places. Watch as Kiki gains her independence and becomes a young women. When she arrives in the city of Koriko, she is helped by Osono, the owner of a small bakery. Osono gives young Kiki a place to stay and a job with the bakery. Most importantly, Osono encourages Kiki when she feels lost. Kiki’s Delivery Service makes our list through the inspiration and encouragement that can be found in watching Kiki grow up. The anime March Comes in Like a Lion from studio Shaft has a beautifully unique art-style, from the stunning backgrounds to the way the mouths of the characters are drawn. Our protagonist Rei Kiriyama is a 17-year old professional shogi player, so we get to learn about this Japanese game which is comparable to chess. The story revolves around Rei and his journey of improving his mental health. He goes from feeling alone in the world to slowly realizing how extensive his support system is. He has so many people rooting for him, from his school homeroom teacher Takashi Hayashida, his friend Harunobu Nikaidoou, and other members of the Professional Shogi Association. Above all, the three sisters Akari, Hina, and Momo Kawamoto make the biggest contribution to helping Rei begin to care for himself and others again. Become invested in the fate of Suzu Urano as she moves to the small town of Kure in Hiroshima in 1944. Suzu moves in with the family of her husband Shusaku Houjou after their arranged marriage, and is often found daydreaming and drawing the scenery around her. She adjusts to married life and becomes essential to the daily running of the household as life becomes more and more stressful. In This Corner of the World makes our list of the top 10 anime to watch with your mom because we get to see young Suzu grow into a strong woman who cares for her family.